I like the way this is coming along. 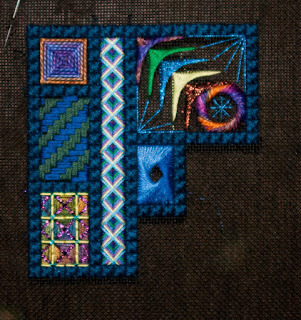 One more rectangle, the two shades of blue, is done. Slowly it gets there.